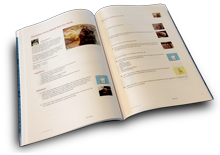 Each of the recipes included in this collectible cookbook have been voted "2013 Members' Choice" favorites by members of the Just A Pinch Recipes... a tasty honor indeed. With 100 recipes, 88 featured home cooks and 9 delicious chapters, this cookbook is jam-packed with heirloom quality eats! CONGRATULATIONS TO YOU ALL--WELL DESERVED AND OH SO DELICIOUS! I didn't know there was a discount code. I did a search under ingredients for cream cheese and shrimp, soup - those were the only ones I found -- a few of them sound really good. Sorry it wasn't what you were looking for. Do you remember any other ingredients that might help locate the recipe? Thanks but it was not them. I had typed it up the other day on my IPAD & it died on me so I lost it. It was a really really good recipe. Cream cheese, onions, heavy cream, shrimp. So good. Thank you so much for your help. Is one of these the one? I am looking for the shrimp soup recipe. You made it with cream cheese. Thanks y'all. Received my JAP cookbooks today. How exciting! I'm so excited to have my recipe included in the new 2013 cookbook with all the other amazing cooks. Thank you so much. What an honor! THANK YOU ALL very much for this recognition!! What a wonderful group of people we have here! Congratulations to all of you great cooks that are in the new 2013 cookbook. I know how exciting it is as I was in the 2012 cookbook. Congratulations to everyone! I'm so excited and honored that I could be included in this year's copy. Thank you and yay! Big hugs to a great new year! Oh wow this is truly an honor and so exciting! Thank you everybody who voted on my recipe and thank you Just a Pinch for giving us such a GREAT site! Yeeehawww this is awesome! Thanks Donna! Congrats to you too and everyone else who made the cut. I know that we all feel very honored! Congrats Jeanne! I'm so excited to be included, too!